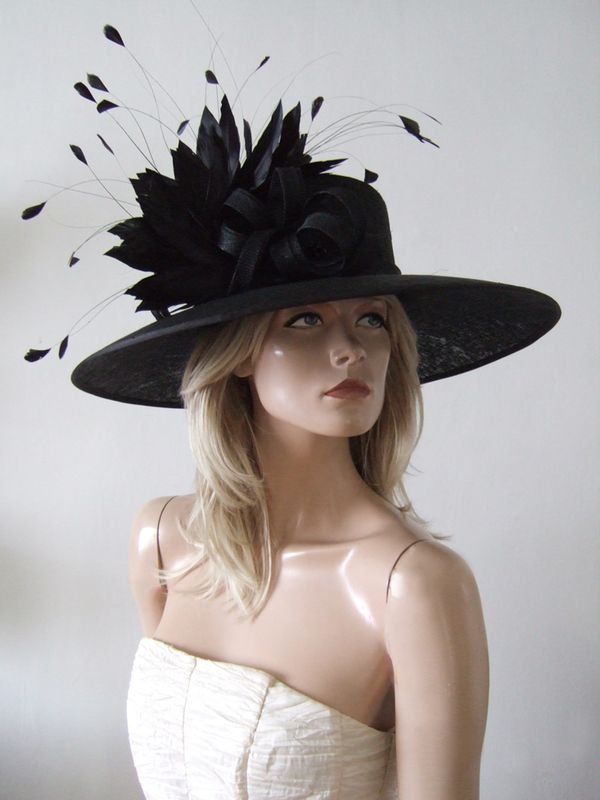 Stunning Large Black Classic Picture Hat. Wide downturned brim with a arched oval crown, dressed with a coq and goose feather tree, twists of sinamay and black swarovski crystals. Crown Height is 4" High.